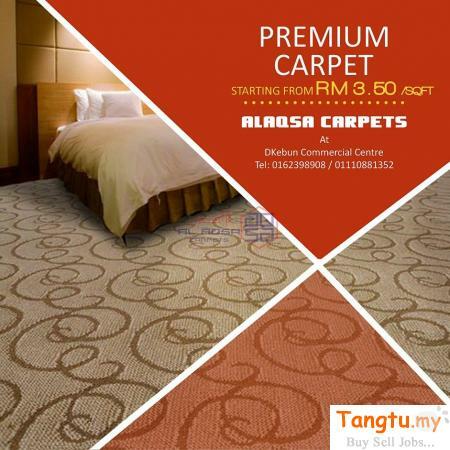 Alaqsa Carpets promises softness and comfort underfoot and Grand Luxurious cut pile twist carpets made from 100% soft nylon are no exception. With beautiful carpet colours that have been borrowed broadly from nature's palette,we bring luxurious softness and warm colour to your home,hotels,ballroom,offices etc with the assurance of durability and superior stain and fade resistancy. GET THIS SPECIAL DIWALI OFFER BEFORE 15TH NOVEMBER! !